McCoy Sod and Landscaping - St Pete Sod Delivery and Installation. At McCoy Sod and Landscaping, we offer a full service for all your grass and landscaping needs. For those interested in doing it themselves, we will deliver fresh quality material directly to your door. After 30 years of experience, look no further, we are ready to serve you. 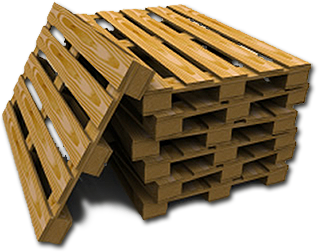 Give us a call today, and ask about our special order sods. Two of the more popular sods we sell and install here in St. Pete, FL are Argentine Bahia, and Floratam St. Augustine grass. Argentine Bahia, better known as "Pasture Grass" is the most widely used turfgrass for new construction. However, this does not mean that it is the best grass. Bahia is grown from seed which is abundant and is relatively inexpensive. It is very drought tolerant, stands traffic well, and has a nice deep green color, however it tends to go dormant in cooler weather. Bahia Sod is not shade tolerant and will eventually disappear in shady areas, in addition to not being well adapted to soils with high pH (especially alkaline soils) and grow poorly in areas subject to salt spray. You may want to contact the County Extension Service to have your soil tested. Bahia will last 3-7 years before replacement is needed. Florotam St. Augustine establishes quickly and is the most vigorous of any St. Augustine variety. Floratam Sod provides an attractive, plush carpet of dark green turf adding value and beauty to any landscape design. It thrives in direct sunlight, but will tolerate some shade. As the intensity of shade increases, the grass will begin to thin out and eventually disappear. Floratam Sodding is adaptable in many Florida soil conditions, including St. Petersburg lawns, and has a high salt tolerance. Because St. Augustine grasses are considered high maintenance, a licensed lawn spraying company is recommended to care for your lawn. **Important Note: All grasses and sod require at least 30%-40% sunlight to grow. No grass will grow in dark, dense shade. In such cases it is better to plant ground covers. Bahia and Floratam St. Augustine grass is usually delivered the day after ordering. Special order grasses take 2-5 days to deliver. We recommend laying your grass within 24 hours from time of delivery. Call us today for a full listing of services and products.